Partyaki is an amazing product that needs your support! Japanese cuisine is known for its tasty and healthy dishes. When someone mentions Japanese food people usually think about seafood, but the truth is that Japanese cuisine includes many other delicious meals based on different kinds of meat. The only downside is that finding a good Japanese restaurant outside Japan is very difficult. On top of that, many of these restaurants are very expensive. This is why we have decided to find a solution for this problem and as a result of months of thinking, analyzing and assessing things we have created Partyaki! Partyaki is a tabletop grill that serves as a mini Japanese Steakhouse located in your yard, kitchen or anywhere you want. We have created a product that simplifies the process of preparing Japanese food and in addition, it looks very attractive. If you want to experience the feeling that Japanese chefs have when they are preparing meals in their steakhouses, you can do this with Partyaki, but in the comfort of your home. 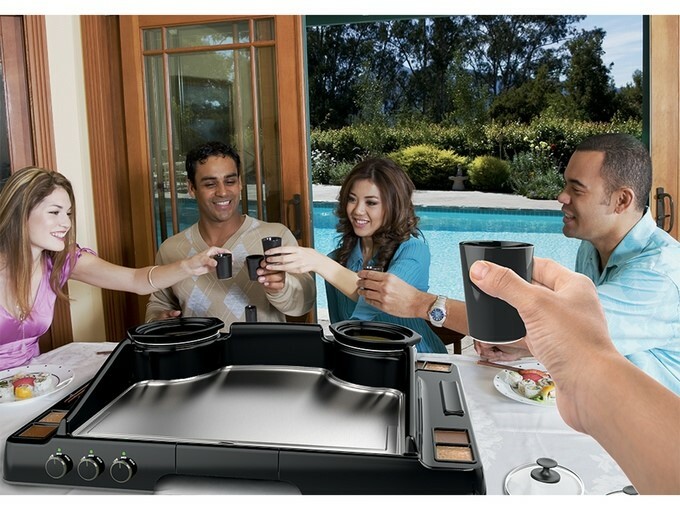 The Partyaki comes with a large grilling surface, beautiful and fully functional controls, two one-quart hot pots, four molded chopsticks holders and four dual removable dipping sauce trays. As you can see, our main goal is to bring the full Japanese Steakhouse experience to your home or anywhere else you may want. In addition, every Partyaki box comes with dining essentials like pepper shakers, teppanyaki spatula, salt shakers, hot pot skimmers and even with a chef hat! The Partyaki Home Hibachi Kickstarter Project Approved. You know the feeling. The feeling you get the moment you hand in that final exam to your teacher that you’ve been working on for the last semester. It’s the moment of truth. You’re hoping you completed all the requirements to move to the next class, that your teacher can approve all you’ve been doing and you can just keep moving forward. 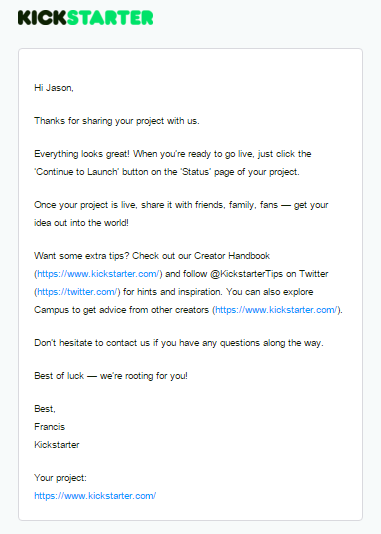 We’re not in college anymore, but Kickstarter acts as the teacher who teaches us ( the project creator) rules, regulations, best practices and all the requirements we need to adhere to before we’re able to get our project out to the world and mark our Kickstarter project approved. As you may know by now, we are about to reveal the Partyaki to the world in a few days. To be exact, we are going live at noon (EST) on February 27th, 2016. But before we even think about revealing Partyaki to the world, we had to submit our entire project to Kickstarter to get approved. I was confident that we had everything in order, however, there is always that little feeling of, what if I missed something. Especially when you want everything to be as perfect as possible. Kickstarter is known to manually review every project which is a layer of security that we very much appreciate. This step of quality control is necessary to protect backers from fraudulent projects and to make sure project creators don’t miss anything important. The Kickstarter platform has run so many campaigns in the last few years that they are able to automate certain kinds of projects in order to speed up the process. This is how the process works according to Kickstarter’s CEO: “It’s important to note that every project on Kickstarter is reviewed — first by an algorithm and then, if needed, by a member of your team”. As you can see we are ready to go! We got the green light and now is time to reveal the Partyaki to rest of the world. Hopefully you can join us on this incredible Partyaki journey.